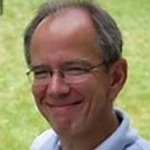 Bruno Delvaux is currently Professor of Soil Science at Université catholique de Louvain (UCL), Belgium. Bruno joined the Board of Trustees of IITA after 39 years working in development with the Food and Agriculture Organization (FAO) in Cameroon (1979-1984), in research and development with the Centre de coopération Internationale en Recherche Agronomique pour le Développement (CIRAD) in the French West Indies (1984-1990), in research and training with UCL since 1991 as full Professor with a number of R&D partnerships in Africa. Bruno has been the Rector of UCL (2009-2014) and Dean of the Faculty of Bioengineering (2004-2009). His expertise covers soil processes, soil-to-plant cycles of major and trace elements in agroecosystems and forest ecosystems. He is author and co-author of 13 chapter contributions to textbooks, and of 114 publications in international peer-reviewed Journals. He his member of the Académie Royale des Sciences d’Outre-mer de Belgique, the Académie d’Agriculture de France, the Kenjin Tatsujin Advisory Council, Ashinaga Foundation, Japan, Doctor Honoris Causa of the University of Bucarest, Romania. Presently, he is teaching soil science and pedology at UCL and supervises researches on the soil-to-plant cycle of silicon. He loves biking. Other hobbies concern history, oenology with a particular interest for the impact of the terroir upon the wine quality, originality and style.